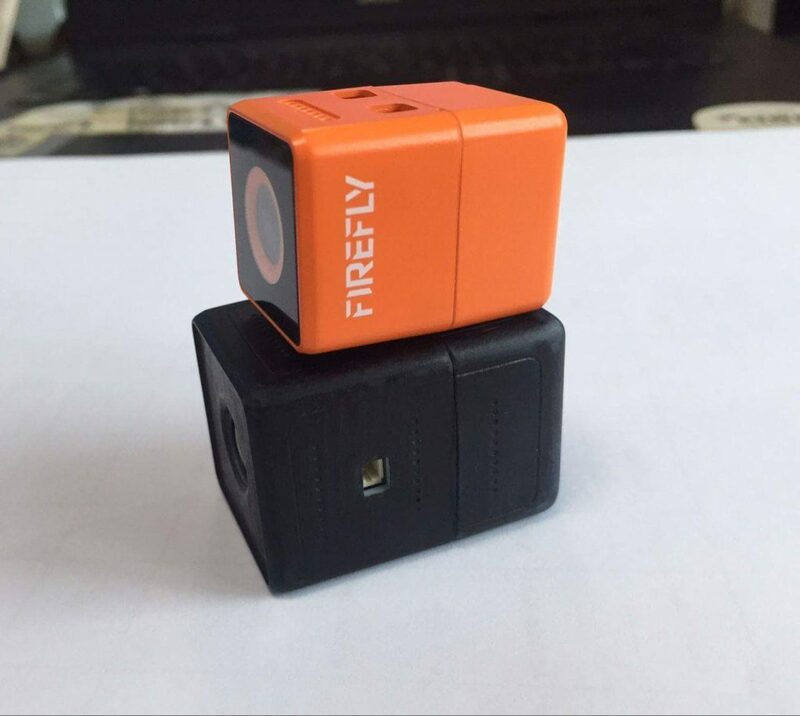 HawkEye is preparing second version of their micro action camera Fifrefly Micro Cam 2. 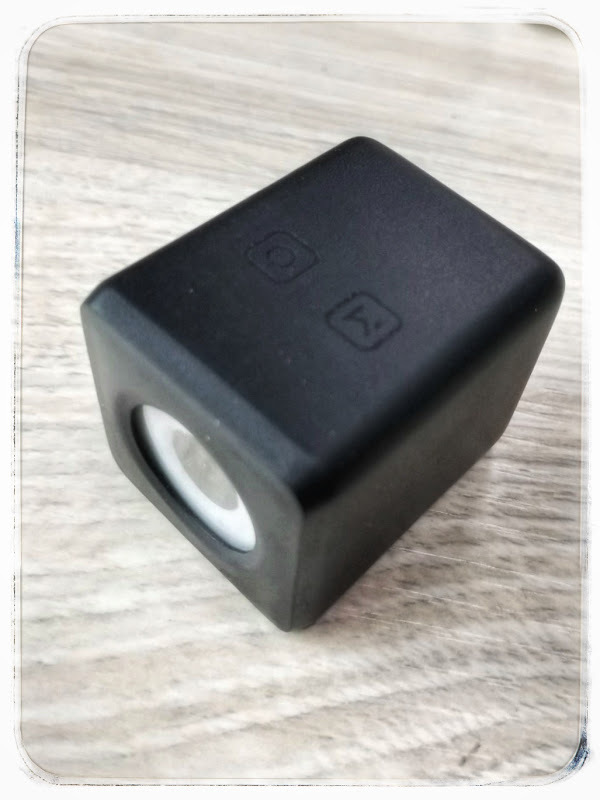 First pre-production pictures appeared, showing the new camera with 3D printed casing. Preliminary specs are: 1080p/60fps, 2.5K/30fps, low lag FPV output, about 1 hour of battery operation. Total weight is about 28 31 grams. 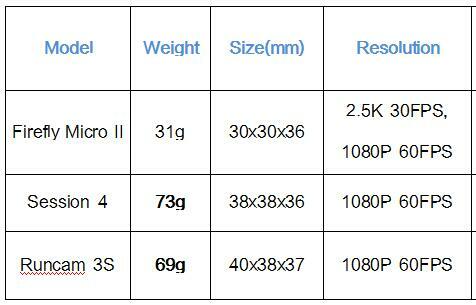 Size is about 30x30x36mm. 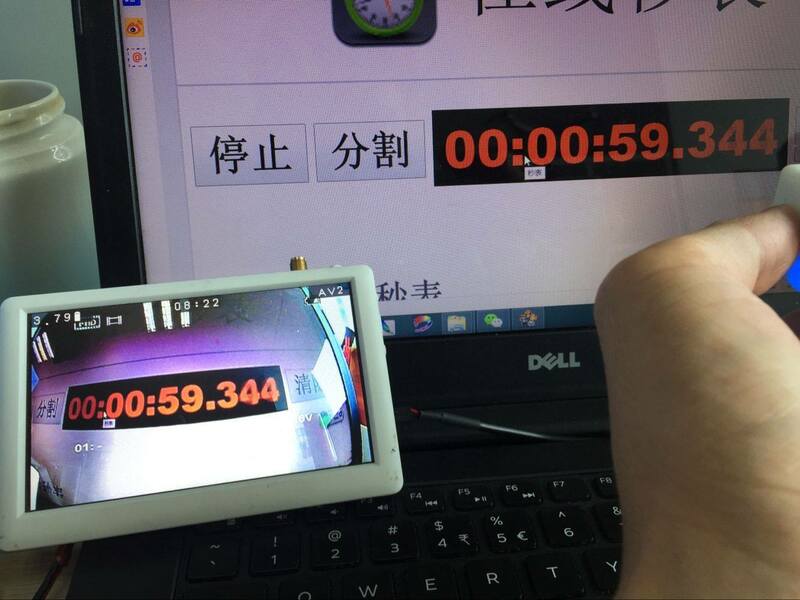 Photo demonstrating low lag realtime FPV video output. 2019-01-10: Sample video with FPV feed. A few more pre-production sample photos. Where to buy? What date does sales begin? I hope they make a split/turtle/mix version. 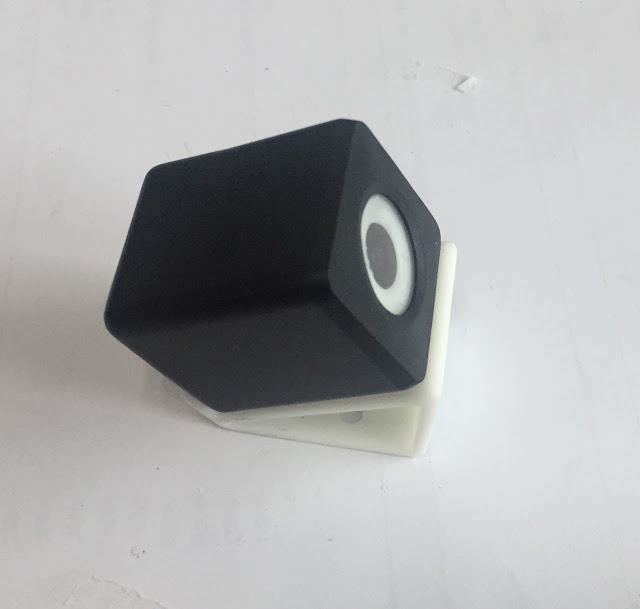 This could be the smallest 1080p 60fps fpv camera available. Or we just decase the unit, dump the battery. And run it off 5v from a regulator. I highly doubt about split version. But we can remove the battery for weight savings as it will have 5V power input.